strange planet or moon with life i just found. its orbiting a brown dwarf which is in turn orbiting a k2v star and is tidally locked with the brown dwarf. 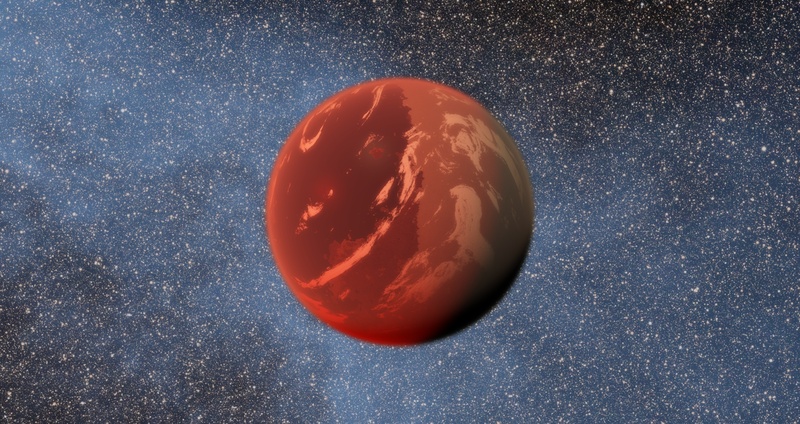 All the planets orbiting the brown dwarf seem to have two sides like this one (one side frozen and the other melted perhaps). It would be great if we could name places with nicknames on our own system(s) - this one would be fun to try to name. Moderator edited your post to openly show your image. This isn't as uncommon as you think, since brown dwarfs often have multiple small worlds around them. I'm quite sure that it will be implemented in future versions. At least you can name a place in locations journal.